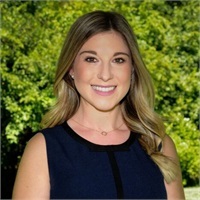 Morgan joined the SFP Wealth team in 2018 as a Retirement Plan Relationship Manager and is responsible for building and maintaining long-lasting relationships with existing corporate clients by managing the day-to-day operations and servicing of her corporate plans. Before joining SFP Wealth Morgan was a Retirement Plan Consultant at Sapers & Wallack, and prior to that she served as a Retirement Plan Relationship Manager & Consultant at Mutual of America. Morgan holds a Chartered Retirement Plans Specialist (CRPS®) designation along with the Series 6, Series 63, and Producer Life, Accident, and Health licenses. Outside of the office, Morgan enjoys spending time with family and friends, being outdoors, spinning, cooking, and staying active.